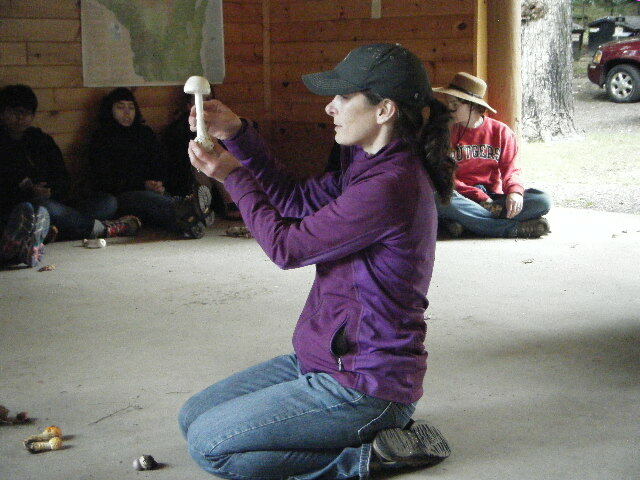 Members of the Northstate Mycological Club are interested in teaching and sharing with others the joy of mushrooming in the Northwoods of Wisconsin. Along with weekly meetings during late summer and fall, our club also is involved in a variety of educational programs at area nature centers. Club member, Edna Epstein delighted with her basket full of Hericium.